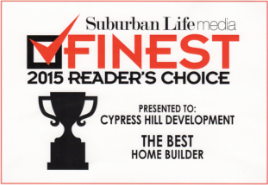 Cypress Hill Development is a company that has been servicing the Downers Grove Community with new home builder services since we were established in 1998. 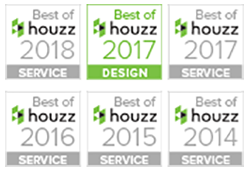 Since then, we have built a great reputation for ourselves by providing our clients throughout DuPage County with quality new home builder services. What makes our new home builder services unique is that Cypress Hill Development is capable of making your dream home a reality. We are a local family-owned and operated new home builder that happily calls the Downers Grove area our home. By working with a new home builder at Cypress Hill Development, you have the opportunity to build the home you have always wanted all while making a great investment. If you would like to find out more about the new home builder services that we have to offer in Downers Grove, please call the architectural experts at Cypress Hill Development today at 630-241-9330. You can also get in touch with one of our knowledgeable representatives by simply filling out the online request form on this page. 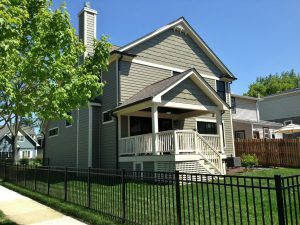 A new home builder at Cypress Hill Development can provide you with the design and construction services needed to build a custom home in Downers Grove. Cypress Hill Development puts high-levels of creativity and craftsmanship into every home we build so it stands apart from every other home on the block. Our team is capable of providing one of a kind home builds so that each home is unique. A new home builder can provide our clients in Downers Grove with a modern and energy efficient home that can stand the test of time. Our new home builder in Downers Grove always uses the highest quality materials available to build your dream home. When you work with a new home builder at Cypress Hill Development, we encourage our clients to give as much input into the design process as possible. We take a personalized approach with our clients in Downers Grove so our new home builder can fit all of your needs. We ensure that you will work with the same new home builder throughout the entire home design and build process so you have someone you can communicate with and rely on. Cypress Hill Development believes that our clients in Downers Grove shouldn’t have to overpay for new home builder services. Our team can work with your budget to provide you with your dream home. Find out more about the new home builder services available in Downers Grove by calling Cypress Hill Development today at 630-241-9330. You may also reach out to one of our knowledgeable representatives by simply filling out the form on this page.